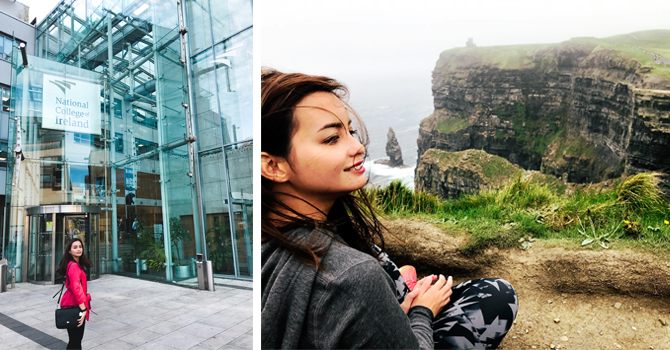 National College of Ireland student and our ambassador from the Philippines, Nina Bianca Sayson gives us six reasons why Ireland is one of the best destinations to study abroad. I’ll be honest: when I first started researching for universities and countries for my Masters, Ireland was not at the top of my list. Heck, it was nowhere in my list. You see, I had a long checklist of requirements for my new city, and university was going to have great weather, a lovely and warm culture, a world-class education, easy connections to other countries and lots of job opportunities in my field. Studying abroad is a life changing decision and requires more than a pro and cons list to be made. Aside from the not-so-pleasant weather (it’s really not that bad — I promise), studying in Ireland and choosing NCI is a decision I will not regret. Here are 6 honest reasons why you should consider Ireland as your next study abroad destination. As a Filipino student who grew up using English as the medium of instruction in school, this one was a no-brainer. As much as I love the idea of learning another language, I didn’t want to perpetually be lost in translation during the first months when I would be still getting a grasp of the language. While Gaelic is still used by some of the counties here, English remains the preferred language spoken by most people. The lecturers are extremely considerate of the international students, so they make a point of speaking more clearly and clarifying terms or slang that we don’t understand, which helps facilitate better learning. 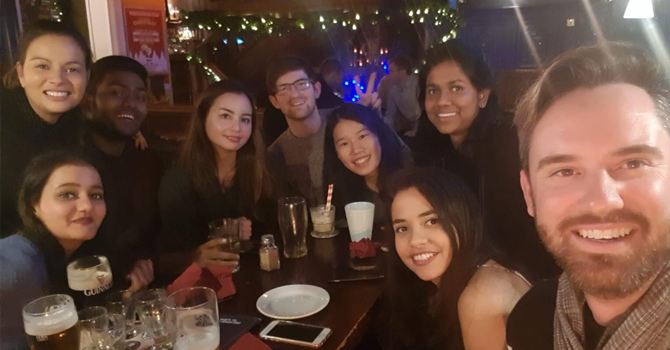 When I started applying for universities and colleges in Ireland, I was pleasantly surprised by how accommodating most were with my questions about the programme and student life. I chose NCI primarily because I liked the modules of the programme but also because it is a small college, and I was able to receive more personalised support from the lecturers. I also received tremendous help from the international office about the papers needed as a Non-EU student. While NCI lacks the characteristics of a large university such as diverse social clubs and multiple campuses, I like how easy it is to navigate around the campus and that you have everything you need in one building. Before I left my job in Dubai, I was working a minimum of 10 hours a day, 6 days a week. By the time I moved out of Dubai, I was extremely burned out and needed the change of pace. While some people crave the buzz of a big city, I welcomed Ireland’s more relaxed lifestyle with open arms. I’m not going to lie, I sometimes miss the craziness and rush of my fast-paced work and lifestyle but the emphasis of work-life balance has made it possible for me to keep up with my part-time work and full-time studies at the same time. Apart from the fantastic support we receive from the college, I love that most of the modules have been challenging and push me to do better, with one assessment after the other. As a marketing practitioner, I appreciate the balance between the practical and theoretical assessments. While I have been bouncing around trying to keep up with all the deadlines since my Master’s began, I have no complaints with the workload, as I like being challenged. Because NCI is a small college with fewer students per course, it is easier to make friends with classmates and students from other disciplines. Of course not everyone is going to get along well and conflicts can happen within group work, but we are more likely to resolve it as it’s more awkward not to with such a small group. What I miss though is the diversity of working with a lot of other nationalities — But on the plus side, outings are easy to plan with less people to take into consideration. NCI’s location is fantastic with very easy access to public transportation. With a Luas stop right in front of the university and Connolly Dart station being just five minutes away from the college, NCI is accessible whether you live in Dublin or outside. NCI happens to be very near big companies such as Facebook, Amazon, Hubspot, Accenture, and many more. As someone in the Digital Marketing profession, Dublin is rich with great job opportunities.